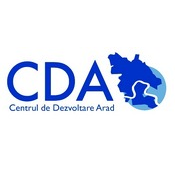 CDA-Arad Development Center is a nongovernmental organization with regional coverage. CDA aims to support the development of the region by organizing promotional activities, consultancy, education, services and events, access and implementation of projects with grant funding, local, regional or European cooperation. transfer of know-how to the economic partnerships in sustainable projects that focus on the exploitation of renewable resources, social responsibility and the development of a culturally attractive environment. CDA-ARAD DEVELOPMENT CENTER, through the expertise of its members, provide both local and regional authorities and associations and foundations support studies, research, advice and partnerships. The Volkshochschule im Landkreis Cham e.V. counts as one of the largest adult education centres in Bavaria. It is the largest adult educational provider in the District of Cham, it consists of over 70 full-time employees, over 300 free-lancers in 30 different locations. In addition to the traditional language and culture related courses – standard fare for adult education centres – we also match our program to the needs of the people within the region to provide them with opportunities for attaining vocational qualifications and obtaining employment. Every year an impressive number of young people pass the (Qualifying) Certificate of Secondary Education and for most of them we can find an apprenticeship or training position. A lot of adults find their way back to the labour market after taking one of our further education training courses. 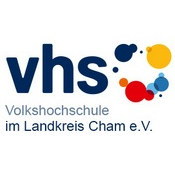 The VHS Cham provides the vocational courses which focus not only on specific knowledge and skills related to the profession, but also development of the social skills, entrepreneurship skills and bringing European values close to the citizens. It has been implementing European projects in the field of vocational and adult education since 2004. The VHS Cham focuses also on the development of new curricula in the context of ECVET, e.g. in the field of geriatric nursing and counsellors. Centrum Kształcenia Edukator Sp. z o.o. 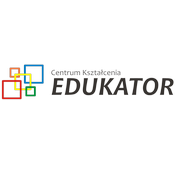 Centrum Kształcenia Edukator Limited Liability Company is a company operating on the Polish training market. The institution is based in Rzeszów, and it belongs to the sector of small and medium enterprises (SME). The main business activity is training and consulting support. The company employs highly qualified trainers and advisers, with special attention to their qualifications (part of Erasmus+ the staff are university lecturers with a PhD), and a very rich experience in training (in many cases, trainers are members of professional associations). 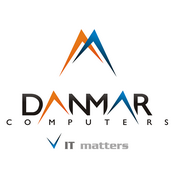 The main thematic area of training and consultancy are entrepreneurial processes and information technology. The institution organizes an entrepreneurial training, accounting and finance, and information technology for hundreds of participants. In addition, a very important area in the area of training are the vocational training, including certified training, ending in an examination. These courses lead directly to professional qualifications, or in situations where the law requires – an examination by corresponding national organization (e.g. Office of Technical Inspection, the Provincial Traffic Centre). The company has wide experience in organisation of trainings within EFS funds, for which organisational and logistic skills are needed as the courses can take place in various places at the same time. Within these courses, trainers of Edukator worked with different groups of learners, trying to support the process of learning with the use of ICT resources. One of important for the organisation groups is people with low qualifications, which often are unemployed and require guidance. For that reason, Edukator employs professional advisors that are able to guide people not only regarding professional development but also soft skills development and general life orientation. 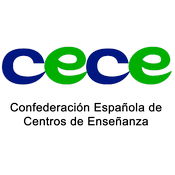 The Spanish Confederation of Education and Training Centers (CECE) is a non-profit employers´ and professional organization founded in 1977. It represents a wide educational sector in Spain from nursery school to university level. It has more than 2.000 Education and training centers among its members. CECE institutional roles are: the management of updating for educational agreements; the negotiation of the collective agreements for this sector; the representation of this sector in the collegiate boards with educational participation; institutional presence in the Spanish Employers Organization (CEOE) and in some international organizations in which it takes an active role as well as the relationship and contacts with Education Public Authorities. CECE is member of the international organizations: EFVET (European Forum for Technical and Vocational Education and Training), ESHA (European School Headmaster Association) and ECNAIS (European Council of National Associations of Independent Schools). CECE gives support to his members in 5 areas: (1) organization of LLL courses for teachers; (2) implementation of technological innovation in its members; (3) internationalization of the members; (4) Assistance in the implementation of the EFQM Excellence Model in its member institutions. (5) Legal consultancy for the member institutions. CECE´s educational profile has widened with the constitution of its Foundation (Fundación Ángel Martínez Fuertes) in 1996 that centres its activities on social inclusion through training of unemployed persons, persons over 45, women, disabled persons, immigrants. ACLI present themselves as a “social promotion’s association”: a widespread and organized system on the territory that promotes the culture of work and workers and educates and encourages active citizenship. ACLI supports citizens, in particular those that are in conditions of marginalization or at risk of social exclusion. As authoritative subject of organized civil society, ACLI acts in the voluntary, non-profit and social enterprise. ACLI is a complex system of economic activities and volunteer activities that are a vital factor of cohesion and social development in our communities. Education is the best way to understand the present and prepare the future, while services that ACLI can offer are the integrated response to the needs and people´s citizenship rights. ACLI Florence is the provincial level of a complex organization and acts on the territory of the province of Florence, by networking with organizations and other associations thanks to the work of many volunteers. 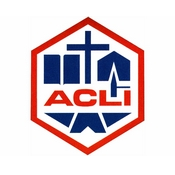 ACLI has about 3,000 members in 20 clubs. We organize training courses for volunteers engaged in activities on the territory, promoting active citizenship paths. ACLI organize for older members computer literacy courses, to enable elderly to use the PC, smartphone and social networks. The Punto Insieme/ Punto famiglia project, through close cooperation with other associations and with social services of the Florence’s municipality , it is aimed at social exclusion risk people by offering: guidance paths for job hunting, psychological support, legal support, tax advice and family mediation.